"Mi primer pedido a sido muy satisfactorio, trabajan rápido, con buena..."
price: (Retail)	30,01 € tax incl. 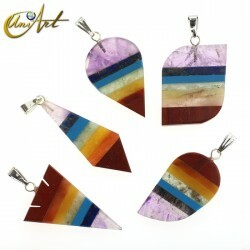 Beautiful pieces of agate from Brazil stained in purple, each piece is unique and are ideal in decoration to balance Feng Shui, as they bring all the benefits of this stone to the environment. All these agate geodes have precious veins in purple tones and a central cavity with microcrystals. 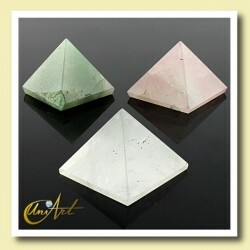 Here you can find four pieces to choose from, each one is unique and unrepeatable. You will receive exactly the chosen piece. 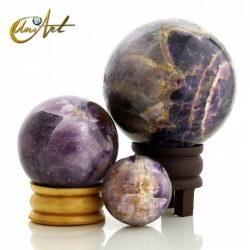 These purple agate geodes have a weight of between 600 and 650 gr, and a height of 7.50 to 9.50 cm.